View solid state hard drive adapters for compact flash memory cards displayed below. Message: “Jim: I have been searching for a replacement for a 3.5″ FDD that reads/writes to a USB flashdrive or CF memory card. Has the Engineering Challenge generated any solutions, yet? I’ve gotten a bit of feedback in this area. Apparently the signal conversion is a bit more difficult than meets the eye. I have spoken with some engineers that have a cursory understanding of the floppy disk system, but it seems the interface is more complicated than the HD solid state disk drive to an IDE port. This seems strange that a simple device (in concept) like this is not available. I would think there is an engineer out there that could do this, but so far haven’t heard from anyone that can do it. Some people have a hard time understanding what it is being requested here. They want to tell me that there are already external USB floppy drives. I have to tell them that is not what we need. We need a direct plug in to the FDD cable that reads/writes to a USB flashdrive or CF memory card. Maybe I need to spell it out a little more concisely. Many of the old industrial machines used in various product manufacturing industries, and continued to be serviced and supported throughout the manufacturing world today, especially that of the circuit board drilling equipment and PCB routing machines, along with legacy CNC metal fabrication and CNC plastic machining, mold cutting equipment, and die making machines still use either the 5¼ FDD or 3.5 inch FDD to load operating systems and store part programs on hybrid computers. These hybrid computers are not PC based and have no internal or external hard disk drives, nor are these industrial equipment machines capable of hooking up a hard disk drive through any type of IDE cable connector; since the computers do not have IDE HDD interface capabilities, nor do they have USB connector capabilities either. Other machine fields that are excellent candidates for a new style SDD FDD would include: commercial grade and high-end consumer models embroidery machine equipment, quilting machines, and programmable sewing machines used built-in floppy drives for storing patterns and job programs. Other industrial machines were designed around the original IBM PC which preceded the “IBM XT” and included 5 ¼ inch floppy drives but no hard disk. There may not be very many of these types of machines still in existence or actively used in production today. Machines that are still being used in production, but have their own hybrid computers, are typically using a proprietary floppy disk controller for reading and writing to the floppy disk drives. This makes disks written in the proprietary format, unable to be read with the standard PC format floppy drives. New manufacturing equipment is very expensive. Many of these these older machines are still quite capable of producing products in a production environment, and their owners are not willing to throw them away to buy a brand new machine equipment that will produce the same amount of product, in the same amount of time. Floppy drives have been around since 1971, when IBM was the first to introduce the 80 KB read-only 8-inch FD. Subsequently, IBM, Memorex, and Shugart introduced 8-inch RW SSSD and DSSD floppy drives that reached a storage capacity of 980 KB (CP/M) – 1.2 MB (MS-DOS FAT) in 1977. Then in 1978 the 5¼-inch DD was introduced which had a storage capacity of 360 KB or 800 KB. In 1982 the first 3½-inch HP single sided FDD came on the market with a capacity of 264 KB. 1984 marked the introduction of the Macintosh which used the 3½-inch (DD at release). It had a marked capacity of 1 MB, though it was more like 720 KB (400 KB SS, 800 KB DS on Macintosh, and 880 KB DS on the Amiga computer). 3½-inch and 5¼-inch floppy drives shared the market place from 1982 through the late 1990s and even some industrial equipment manufacturers continued to use 5¼-inch floppy drives just at the turn of the century, though most industrial equipment manufacturers switched to the 3½-inch FDD models long before. The floppy disk drives have now been largely superseded by USB flash drives, CD-ROMs and DVD-ROMs. How did we get into this FDD mess. Part of the reluctance for US industrial equipment manufacturers to design new industrial equipment, with using new style PC based controllers had to do with the costs associated with R&D investments in both hardware and software engineering and design. Also, because of the sizeable R&D investments which many of these companies had made in the past, with specialized dedicated computers that had worked well up until this time in a manufacturing environment, top management was reluctant to spend any more investment capital into designing what was already perceived as a solid engineering design. While US companies sat on their laurels, their foreign manufacturing counterparts had leapfrogged over the controller designs, and started building controllers that were using standard, over the counter, PC based controllers, with software written to run under a Microsoft Windows environment. Now, many of the US manufacturers have been hit hard by the foreign competition and are struggling mightily to compete once again in the world markets. What is happening for many of the end users of this legacy equipment is simply that the floppy drives are wearing out. They are getting old, and with the lack of replacement parts available, the equipment is becoming obsolete. These end users need a floppy disk drive bridge to get them over the hump, especially in these difficult economic times. They need something cheap and easy, that would quickly interface to these old floppy disk drives with a simple FDD plug and play device that requires no software drivers to be installed on the computer. Ideally speaking, it would be based on the solid state drive design similar to the SDD HDD — solid state drive hard disk drive, but for a SDD FDD — solid state drive floppy disk drive hookup. The demise of the floppy disk drive is making it more difficult to keep aging computer systems operational. Floppies are still used for emergency boot disks on many of these aging systems that lack support for other boot media such as CD-ROMs and USB devices. Even some of the Windows Operating systems such as Windows XP and Windows Server 2003 relied on third party drivers, loaded on floppies. Many of the BIOS and firmware update and restore programs require they be executed from a bootable floppy disk. And if heaven forbid, during a BIOS update something goes wrong, even as of 2008, a floppy disk is required to perform a BIOS recovery after a failed BIOS update attempt. The music industry still employs many types of electronic equipment that use standard floppy disks as a storage medium. Equipment that is quite functional, and was quite expensive to purchase, and would undoubtedly be prohibitively expensive to replace such items in the music industry as: synthesizers, samplers, drum machines, and sequencers, all of which continue to use 3½-inch floppy disks. Other storage options, such as CD-R, CD-RW, network connections, and USB storage devices have taken much longer to mature in this industry. Source: Wikipedia — Floppy Disk Drive. So, it makes sense to bridge the FDD storage technology gap between the old floppies and the newer storage device options of CDs, DVDs, external HDs, and USB storage devices. Here are some examples of HDD solid state hard drive adapter devices that can be used on computers to replace the internal hard disk drives using an adapter plug and socket to install Compact Flash (CF). Besides the availability of hard drive adapters, a person can replace their internal hard drive with solid state drives. There are SSD HD IDE PATA for the older parallel ATA interface IDE internal hard drives and SSD HD SATA for the newer and faster serial ATA interfaces available too. Addonics Technoloigies, located in the Silicon Valley, California, manufactures many types of adapters designed to be direct replacement devices for hard disk drives. Addonics offers a full range of storage devices based on various storage technologies – optical (CD, DVD, CDRW, DVD-R/RW), hard disk (3.5″, 2.5″, 1.8″ and Micro Drive), floppy, small digital media reader/writer and stand alone storage appliances. Most of Addonics products are designed to connect to different interface technologies – USB, Firewire, Serial ATA, CardBus, SCSI, IDE and all Windows operating systems. Some devices also have been certified to work under Linux, Mac and Solaris 8. Together with a set of complementary accessories – power cables, host controllers and adapters, Addonics products have been selected to deploy in various vertical markets and applications, including in some mission critical environments. Read more about Addonics’ storage solutions. Many of their products are used to create your own storage size solid state HDD using Compact Flash card sizes of your choice and embed the devices in laptop and notebook computers’ HDD cavities. The item pictured above provides two slots to include both a master and slave HDD Solid State CF drive built into one compact unit. Single slot CF Hard Drive Adapters are available too. With the price of Compact Flash Memory dropping, it is very easy to see how this IDE HDD adapter to Solid State HDD could be utilized in both old and new notebook computers. To replace the internal laptop HDD drive requires simply removing the old 2.5” IDE hard drive from the 44 pin IDE connector and attach the CF adapter with the CF card inserted onto the 44 pin IDE connector with key pins matching. Then you simply tuck it away inside the old hard disk drive bay cavity with double faced tape. Read the details for this device, along with detailed illustration about replacing the hard drive with the Addonics CF HDD Adapter in a notebook or laptop computer. Adapters like this and others for the newer serial interfaces would be an excellent choice for both Apple laptops as well as any of the older PC laptops with either Microsoft Windows or Linux based operating systems. A while back, I had the pleasure of speaking with a sales engineer at Addonics about the need for a FDD solid state replacement device. He was most helpful, but at that time, Addonics did not have anything available in the way of an adapter to go from floppy disk drives to compact flash or any other form of solid state storage. While he did mention that others had also contacted him over the years to design this type of device, he felt it would be expensive to develop the FDD solid state interface device for what was perceived as not having a very large demand for the product. In recent years, because many of the computer manufacturers were not installing floppy disk drives into new computers, has brought about a need for an external floppy disk drive. Behold the USB plug and play Floppy Disk Drive. Before we get to the USB Floppy Disk Drive product, there was however a plug-in module device available from Dell Computers in the UK that plugged directly into the IDE interface cable from a motherboard to a 1.4 MB Floppy Disk Drive. The manufacturer was Origin Storage, with the manufacturer’s part number being listed as: CSERIES/FDD, and the Dell part number listed as: A0769810. Not sure if this floppy disk drive adapter hookup to an IDE parallel hard drive port is still available, or who would really need or be interested in this FDD to IDE port device today, but I thought it might be interesting to note it in this article. Also note that I was not able to find that particular FDD IDE device on Dell’s US website. Maybe it is an old out-dated link on Dell’s UK website. Like I said, I’m not sure there really is a need for this device. I don’t think we need to place floppy disk drives at the end of IDE cables, but it sure would be nice to store old system software from a floppy disk on legacy, non PC based and no IDE based machines, and boot to a solid state CF adapter on the FDD cable. Let’s build a solid state floppy disk drive as a direct replacement for a FDD. Some have asked, “why not just install a USB floppy disk drive on this old equipment?” Well, the biggest hurdle with this solution idea, is old non-PC based computers do not have the option for USB interfaces. Yes, you could install an external USB FDD drive on any PC that provided for USB devices to be installed, though there are generally Microsoft Windows software requirements for hooking up most of these external USB 3.5 inch floppy disk drives. Others have even come up with a brainstorm of a solution of having some sort of Floppy Disk Drive to USB interface. In essence, this would involve going from the FDD cable into some sort of USB storage device. That might be a possible solution, but one would have to engineer an interface to go from the floppy pin-outs and reading and writing electronic signals requirements of the floppy disk drives, to a USB interface device that was a stand-alone, no drivers required plug-in adapter unit. Sony developed the Memory Stick/Floppy Disk Adapter MSAC-FD2M. The MSAC-FD2M adapter was specifically created for the Sony Mavica FD-95 camera. SanDisk, SmartDisk, and Dane manufactured the FlashPath Floppy Drive Card Adapter for Smartmedia memory cards. These floppy disk adapters provided a slot in the edge of a floppy disk looking unit that Smartmedia cards could be inserted and then insert the whole 3.5 inch adapter into the camera or into a 3.5 inch floppy disk drive in a PC. The application was for those computers that did not have a built-in USB port, to be able to read the Smartmedia memory cards into the PC. With the addition of USB support in newer computers, these floppy disk adapters quickly faded off the landscape though you can still find them available in some online locations. So that gives an overview of what is available for floppy disk drives, adapters, memory cards, and solid state disk drives. On April 2008, Google Groups sci.electronics.design section, Jim F. wrote about his venture into building a floppy drive interface and the information he is seeking. I’ve decided on a new project (this is for fun only) where I will build my own USB thumb drive to floppy interface. My intention is to replace the single floppy drive that exists in a particular piece of legacy test equipment. This will need to be a complete hardware solution (cpld/ucontroller) interface which I can remove the floppy and replace it with my USB floppy emulator. I’ve been searching the web but haven’t had any real luck finding *good* technical data on floppy drive electrical interface data. I’ve read a few floppy drive specification data sheets, but they seem a bit lacking. Does anyone know of a really good repository for this information? This is quite an interesting thread into building the floppy interface by creating a USB thumb drive to a FDD interface. Read more at sci.electronics design. I’m not sure what the status of his engineering design is currently, but it sounded like others would certainly like to see a device like this too. In the thread you will find more technical information into the engineering and design of this FDD interface project. If anyone has any further information into this FDD adapter interface project, please post your comments here or at the Google Groups Science Electronics Design posting. Considering the reduction in the cost of USB Flash Drives , this might very well be a viable solution for the FDD adapter project. Read the second segment FDD interface article titled: FDD Flopyy Disk Drive Emulators and Interfaces. 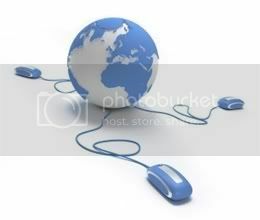 Get your business discovered online with Internet marketing services by Professional Web Services. Learn more, gain new customers online, and increase your sales today; contact Professional Web Services now.